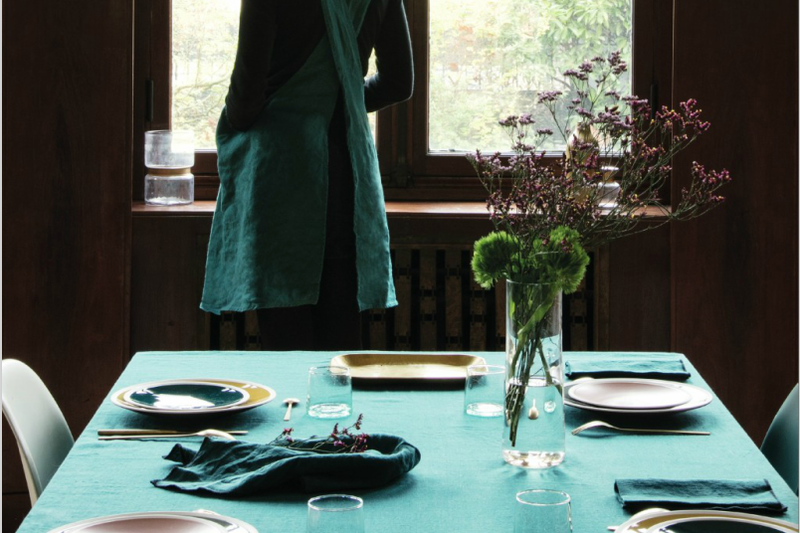 Matching linens serve as simple and elegant foundation for a beautifully set table. I love the easy sophistication of these pairings. Merci Washed Linen Tablecloth in Peacock Blue; $102. Merci Washed Linen Napkin in Peacock Blue; $9/ea. La Cerise sur le Gateau Tablecloth in Lychee Pink; $89. La Cerise sur le Gateau Napkins in Lychee Pink; $23/PAIR. 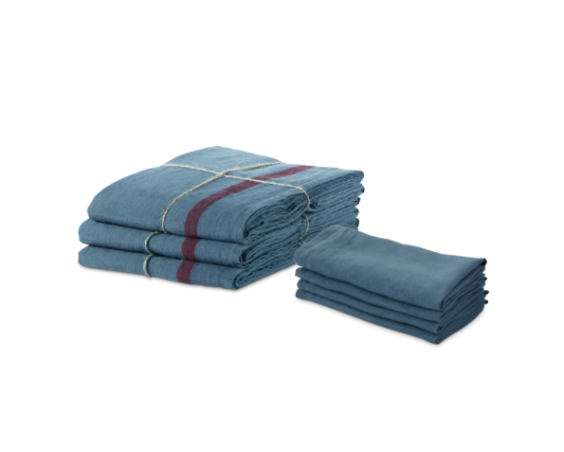 Merci Washed Linen Tablecloth in Petrol Blue Stripe; $102. Merci Washed Linen Napkin in Petrol Blue Stripe; $9/ea. 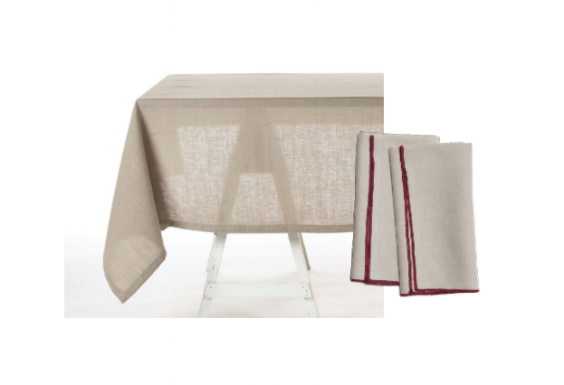 Libeco Polylin Washed Tablecloth in Canelle; $141. 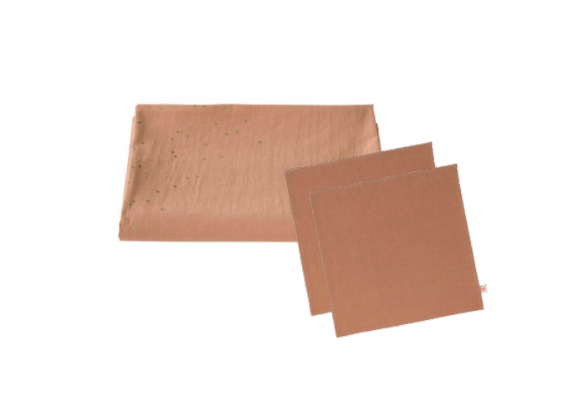 Parachute Contrast Edge Napkin in Natural with Merlot; $29/pair. Heather Taylor Home Milos Tablecloth; $186. Heather Taylor Home Milos Napkin; $82/set of 4. Linge Particulier White/Navy Checked Linen Napkin; $20/ea. Merci Washed Linen Tablecloth in Roussillon Red Stripe; $102. Merci Washed Linen Napkin in Roussillon Red Stripe; $9/ea.